What is Apartments Giving Back? Our industry is unique by nature, as it provides a primary need – housing. Not only that, but apartment communities, owners and management companies spend thousands of dollars and hundreds of hours contributing to the needs of their community in different areas of their cities. 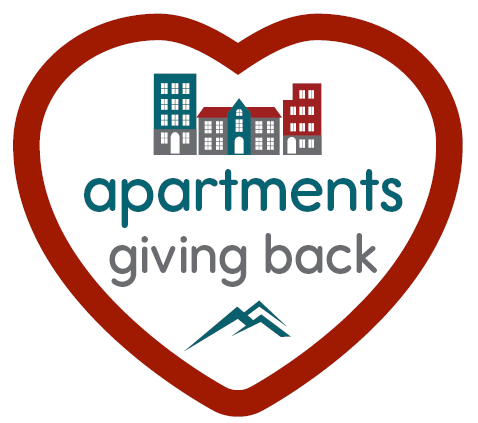 The Apartment Association of Metro Denver is proud to launch the new “Apartments Giving Back” initiative, which is designed to showcase the philanthropic efforts of AAMD community, owner and management members. We are compiling information from our membership to understand the impact that our industry has on the greater community. While this initiative is in its beginning stages, we are asking for all owners and management companies to fill out this quick form below to tell us about your company’s philanthropic efforts. We will list your company on the webpage, along with a link to the organization you support.